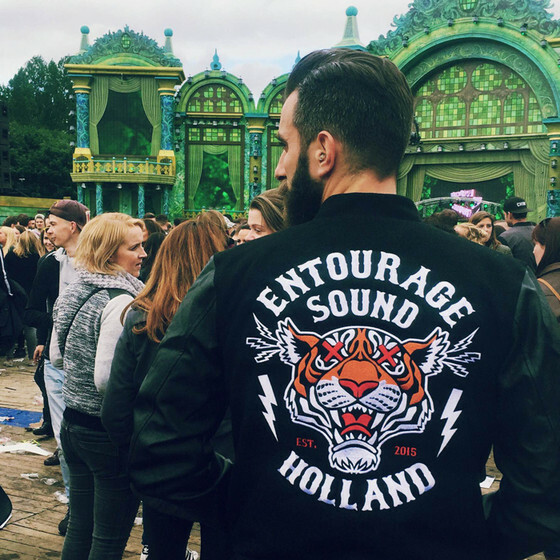 Voor Entourage Sound Holland hebben we een baseball jacket geborduurd aan de voorzijde en achterzijde . 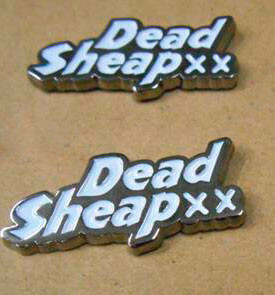 Voor Dead Sheap Tees hebben we een Promo Metalen Pin / Logo Speld gemaakt. 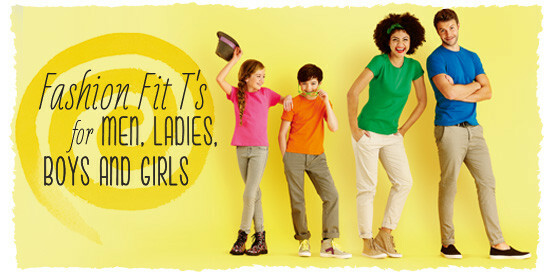 HAVE YOU EXPERIENCED THE SOFT FEEL AND GREAT FIT OF OUR NEW SOFSPUN® T'S? New exclusive fabric technology from Fruit of the Loom. 100% cotton T-shirts made from open-end yarn with the soft feel of combed ringspun cotton. Designed with a fashion fit for a retail look.Style and softness has never felt so good. 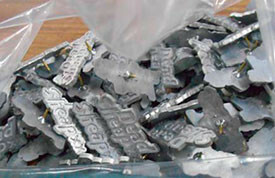 Sofspun® T's are designed for decoration, with a fine 28 knit gauge to provide a smoother, more stable print area. 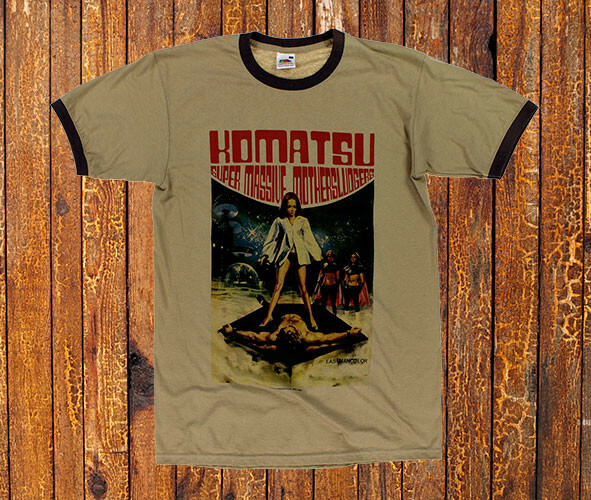 A brilliant colour range makes these T's the perfect choice for retail, tourism, corporate wear, licensing, promotions, music merchandising and more - there's a colour to fit every need! 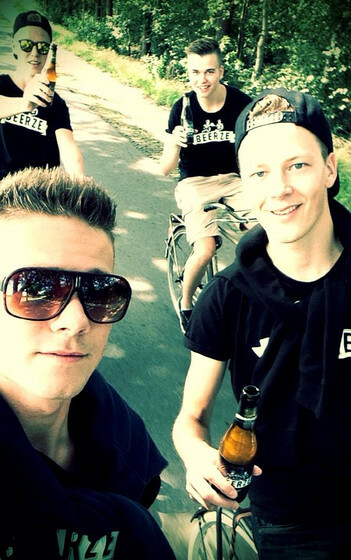 De Beerze Boys blij met hun nieuwe Beerze T-shirts en Beerze caps. Onze nieuwe Blendomatic staat nu online. 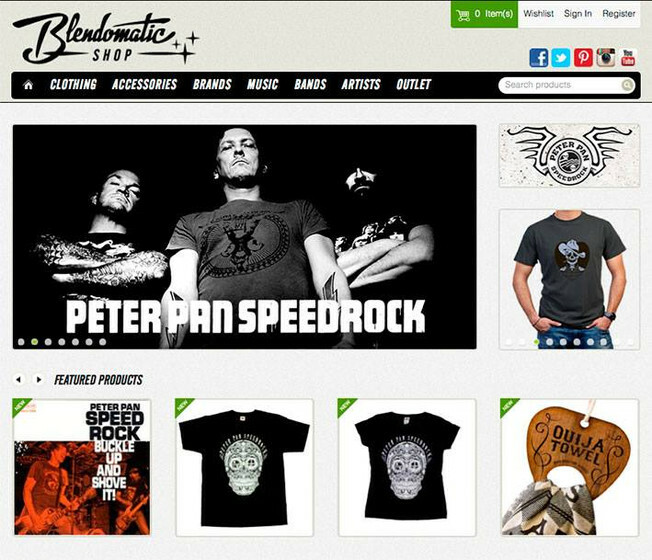 Je kan hier de merchandise van Peter Pan Speedrock , Heideroosjes , Jett Rebel , Four Headed Dog , DeWolff , Miss Djax , Karma To Burn en van nog veel meer andere bands kopen. 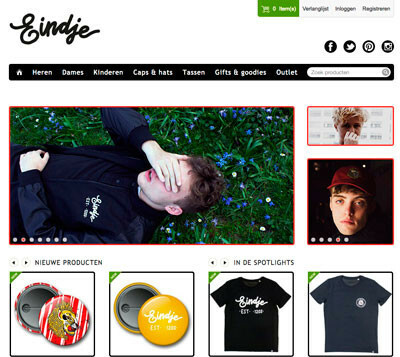 Onder andere T-shirts , Hoodies , CD's , Vinyl en nog veel meer andere items. 7 new styles, 2 New fabrics and 6 new colours. Heavy cotton, mix of cotton and wool, casual chic styles, everything has been made for you to feel comfortable, but still with style, while of course respecting the environment. 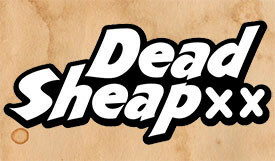 The collection will be available from september in stock. This winter will be warm warm warm! 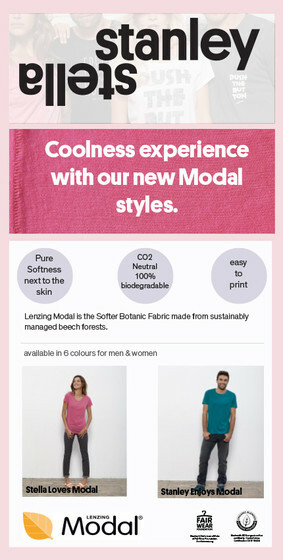 New Stanley & Stella Tees C02 Neutral and 100% biodegradable. Fruit of the loom more than 1000 Sweats! Blendomatic is Fruit of the loom dealer. Self folding Fruit of the Loom T's! Self folding Fruit of the Loom valueweight T-shirts. Theodorus "Dorus" Rijkers (28 January 1847 -- 19 April 1928) was a famous Dutch lifeboat captain and folk hero, most famous for his sea rescues of 487 shipwrecked victims over a total of 38 rescue operations, and at least 25 before joining the lifeboat-service. In April 1928, Dorus Rijkers died at the age of 81. His portrait is hanging with pride in a lot of Dutch houses. He was a true warrior on the sea. This tribute is a honour for all his great work. This video gives you some explanation about the Stanley & Stella brand, who they are, what they do, their philosophy. Blendomatic is an official Stanley & Stella Dealer. Proud to present you the latest Long John collab with artist Joost Bohnen, Blendomatic print company and Lee Jeans. The collab is a tribute to Dorus Rijkers. Theodorus “Dorus” Rijkers (28 January 1847 – 19 April 1928) was a famous dutch lifeboat captain & and folk hero most famous for his sea rescues of 487 shipwrecked victims over a total of 38 rescue operations, and at least 25 before joining the lifeboat-service. In April 1928, Dorus Rijkers died at the age of 81. His portrait still shows up in a lot of Dutch houses. He was a true warrior on the sea. This tribute is a honour for all his great work. 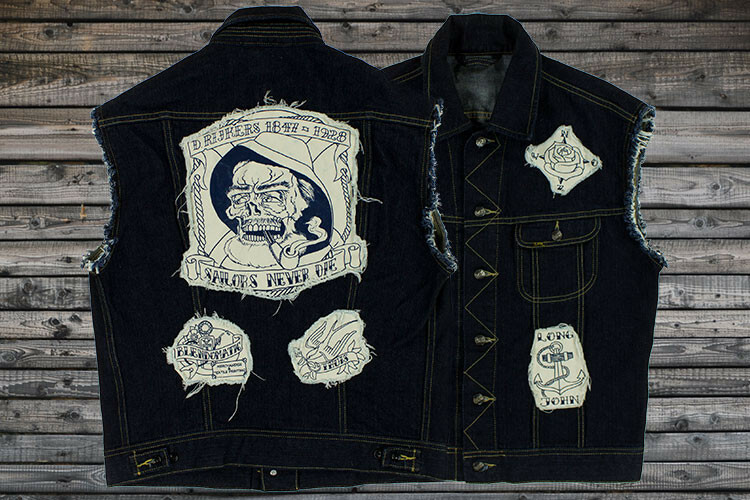 The collab denim jackets are made from classic Lee Jeans jackets; Rider and StormRider 101. The prints are made on water base, they will age nicely together with the jacket. Both jackets are inspired by biker jackets from the 60′s and 70′s. The sleeveless Lee Rider jacket has a more vintage look with the frayed sleeves and patches. 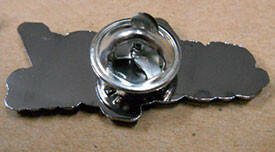 It has a selvage in the waistband. The StormRider is made in Japan by Edwin Jeans on the authentic machines. It features the famous Alaska lining and corduroy collar. 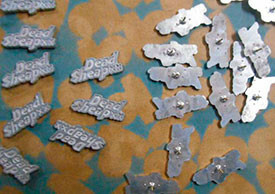 The patches are printed with an indigo blue color and are sewed by hand on the jackets. The collab is made in very limited quantities. Special thanks to Joost Bohnen for his great design, Long John and Lee Jeans for their authentic jackets! Remember, Sailors never die!